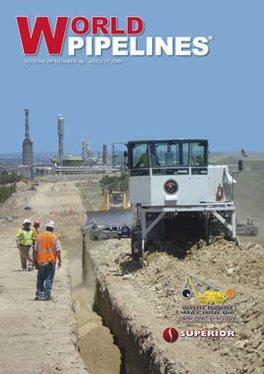 Take out a subscription to World Pipelines magazine, the international b2b publication tailored to meet the specific needs of the global oil and gas pipeline industry, covering all aspects of pipeline engineering, construction and maintenance, as well as the technical and business issues that pertain to the industry. With a subscription to World Pipelines magazine, you will benefit from the in-depth coverage and analysis of international oil and gas pipeline activity, which will enable you to gain greater insight into the issues affecting your industry. Published twelve times a year, each issue in a subscription to World Pipelines magazine includes a comprehensive regional review, detailed industry commentary, the latest pipeline project reports and expert technical articles. Don’t miss out, invest in a subscription to World Pipelines magazine today!